What if YOU GOT PAID THE BIG BUCKS FOR BEING YOUR UNEDITED SELF? Wanna Increase Visibility, Automate your Business and Create Consistent Income Online? I’m Danielle Ford, Creative Video Marketing Strategist and I turn closet geniuses into industry leaders. How? By helping them hop in front of the camera and become the one moment their customers look forward to all day. I adore you because you’re smart, talented and have so much to offer. The only problem? Nobody knows! Being your industry’s best kept secret keeps you stuck in the rat race. No Bueno! IT'S TIME TO TAKE YOUR BUSINESS LIVE, FRIEND! I don’t have any equipment! What if I accidently block my co-host? I suffer from “deer in the headlights” syndrome! What if my messy self goes viral? I first need to lose those extra pounds! Imagine for a second what it would be like if you could consistently churn out videos that make you proud, grow your brand and increase your sales. Are you ready to quit being an incognito-genius and become the go-to person in your industry? I’m the video fairy godmother and I help the frustrated, scattered and terrified move from spinning their wheels to turning their videos into solid gold. I take the overwhelm out of SEO, equipment, platform choices & scripting. But above all, I make growing your influence online feel as easy as blowing your budget at Lulu-lemon. Right now you might feel overwhelmed, not sure where to start and like your genius is under lock and key. Are you experiencing the nagging feeling that you’re wasting your talents and not making the impact you’re meant to make? Imagine you’re a 17-year-old girl and you find yourself throwing up your regular Port of Subs sandwich (extra pickles!). Your first emotion is confusion; the second is panic. A girlfriend bought the test. I took it to prove her wrong. But she was right. My dream of graduating and starting my own business evaporated as I realized I was now “one of those girls”: a teen mom who had just messed up her future. I graduated from beauty school the same month my peers walked in their cap and gown. That was also the month I gave birth to my daughter and married her father. He promptly left for Iraq, leaving me alone in a little 1-bedroom apartment with our baby. To create a sense of connection I would film myself & my daughter saying hi to daddy, transfer the footage to a DVD using an external drive and mail them to Iraq. 7 months pregnant with our second child, I moved myself & baby over to Colorado Springs, where my husband was stationed. But it wasn’t a happy family reunion. Things turned really bad and one day I just packed up my car with the kids and left. I was now a 21-year- old with 2 kids, no money, no job, no daycare, nowhere to live and no clue what to do next. A time of odd jobbing, couch crashing and desperately trying to make ends meet followed. As I slept on the floor on a bunch of sheets a voice kept telling me I was meant to do bigger things. By taking consistent action & believing in myself, I was able to crawl out of the deep hole I was in. While the kids slept, I burned the midnight oil and started reading ferociously about business. Not long after, I opened my own skin care studio. As a side gig I did spokes modeling and between “Cut” and “Action” I would soak up all there is to learn about lighting, sound, editing and directing. Then I took a radical decision: I shut down my skin studio and created a video marketing biz that didn’t require me to be present everyday. After years of working overtime, I could finally spend more time with my kids. I believe in visibility that creates a difference. I use video marketing to help you make the impact you’re meant to make & I created a YouTube channel for teen moms, called Young Moms’ Club. I knew that my real-life experiences and wisdom, put together in concise video messages, could impact their lives. I still get messages every day from teen moms. They thank me for giving them hope. The videos help them make empowered life choices – and to me, that’s priceless. As my YouTube channel grew, so did my influence. I was invited to do a TEDxWomen talk. I was asked for big time media interviews and named a 2015 Woman to Watch Honoree by Vegas Inc., among many other opportunities. I understand the struggles that young moms face. But what struggles would you be able to solve by hopping on camera? What message do you carry inside that needs to be heard? who writes her own rules, and gives both permission and a platform to stop playing small… and start making a difference in the world. Divorced with 2 kids by the age of 21, Danielle designed her own life after closing down a brick and mortar skincare studio to work from home. She worked as a spokesmodel and had a greater interest in what went on behind the camera than in front. Danielle combined that video expertise with her belief in the earth-moving power of marketing. 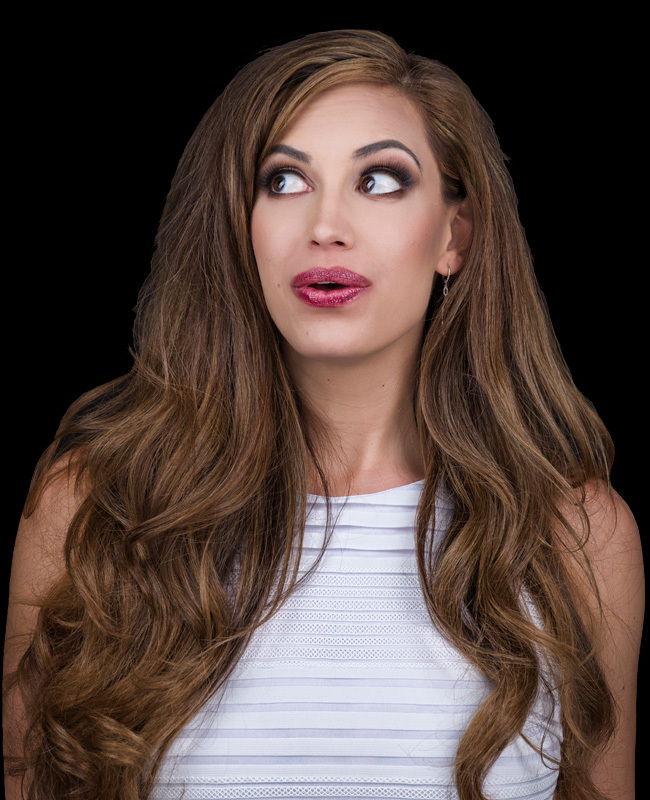 Founder of Young Mom’s Club, TedX speaker, host of “Leading Las Las Vegas” and a Vegas Inc. “Woman to Watch”, Danielle gives her clients efficient systems that automate the sales process, sell out programs and events, and add unexpected revenue streams. She gives entrepreneurs more hours in the day to stay in their zone of genius and do their part to change the world.